You continue to bring Learn by Doing to life through your generosity. Learn by Doing is a vibrant part of a liberal arts education at Cal Poly and among the best ways for students to achieve mastery knowledge, but as you know, it requires investing in small class sizes and close faculty mentoring. In today’s world of decreased state funding, your gifts of money, internship opportunities and mentoring are essential to continue our legacy of Learn by Doing. In this publication, we aim to tell the stories of donors and show the impact you can have on students. 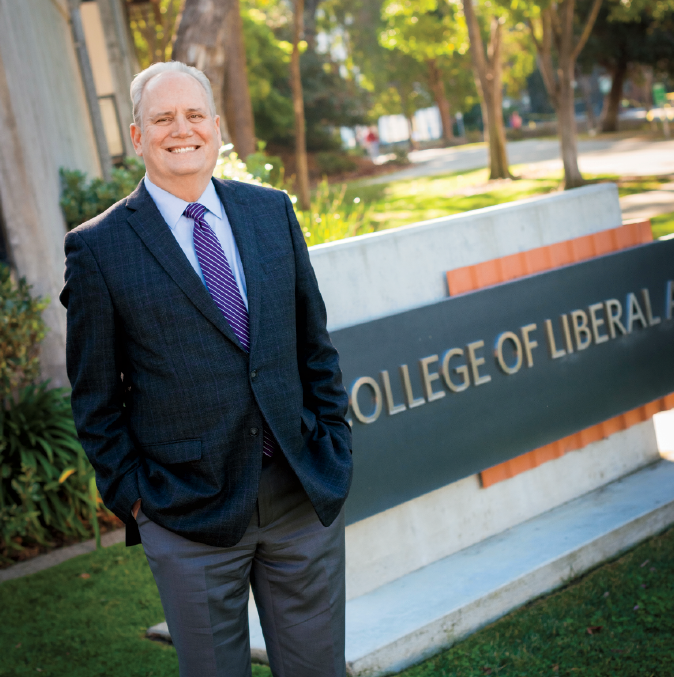 Supporters give to the College of Liberal Arts in a variety of ways, but one thing they all have in common is a passion for our students and Learn by Doing opportunities. You’ll read about alumni who appreciate the influence Cal Poly has had in their lives, friends of the college who are inspired by our endeavors, former faculty who wished to leave a lasting impression, and one student who exemplifies how the opportunity of a lifetime can provide that margin of excellence to the academic experience. As we celebrate the spirit of our supporters, we also turn our attention to the future and the steps it will take to sustain and build on our history of excellence. Consider this your invitation to join us as we work to create an environment that will spur imagination and interdisciplinary collaboration. 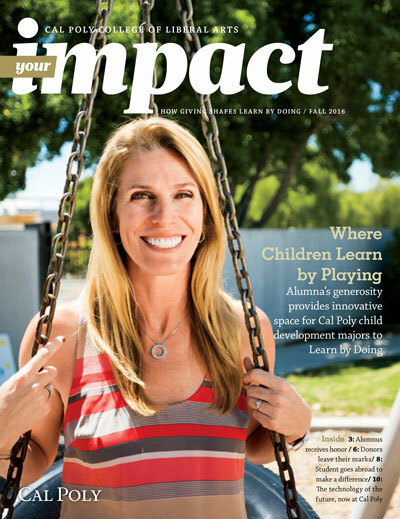 Alumna’s generosity supports the construction of an innovative playground at Cal Poly’s Preschool Learning Lab. 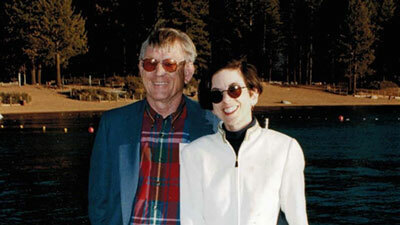 Donors fuel the future of the College of Liberal Arts. Cal Poly student makes a life-changing trip of service to the Middle East. 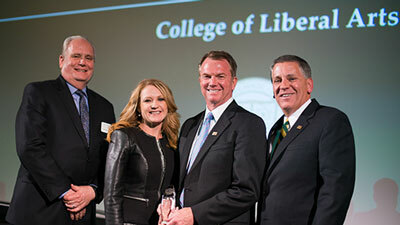 Journalism alumnus is recognized by Cal Poly. Donations help make the cutting-edge Expressive Technology Studios a reality. Find out how you can support Cal Poly!